Families report all sorts of maladministration in the NHS Continuing Healthcare assessment process. Many are also told a lot of nonsense about the way the assessments and the funding works. When NHS Continuing Healthcare assessments are carried out incorrectly, it can lead to people being wrongly charged for care. It means many people have their entire personal assets illegally taken away from them to pay for care that the NHS should be funding in full. It’s financial abuse of a particularly disturbing kind, as the many comments people have left on this website clearly show. Once a flawed funding decision has been made, it can take families a long time to get through the appeal process and obtain financial redress. It’s vital to be as well informed as possible as early in the process as possible – so you can fight your relative’s corner from the start. If you’re currently going though the NHS Continuing Healthcare assessment process for a relative, read on. We’ve listed here 17 untruths about NHS Continuing Healthcare funding that families are frequently told. 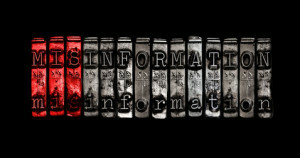 They’ll help you recognise and challenge false information you may be given. This is nonsense. The qualifications and titles of the people providing your care are irrelevant; what matters is the extent of your day-to-day care needs and risks. This is rubbish. Your relative’s money is completely irrelevant in NHS Continuing Healthcare. NHS care funding is not means tested, and it is not capped. This is ridiculous. If your relative needs more care than the care home/care provider can provide, then that care home/provider is not the right one! What matters – always – are the actual care needs, regardless of the capabilities of the care provider. The Continuing Healthcare process is also not an assessment of whether a person’s care is above ‘normal care provided’; that’s nonsense. If the care home can’t meet those needs, that’s a separate matter that would need to be addressed as a matter of urgency. See point 1 above about specialist care. A person does not need to receive care from a specific person to be eligible for NHS Continuing Healthcare; if the outcome of a multidisciplinary team assessment (MDT) and the notes in the Decision Support Tool (DST) show that your relative is eligible for funding, it’s irrelevant whether a district nurse – or anyone else for that matter – is involved. What matters are the overall assessed care needs, regardless of who might be providing that care. This statement is laughable – and yet many people are misled by this. As we’ve just seen, an NHS Continuing Healthcare assessment is not an assessment of a care provider’s ability to provide care; indeed, one would hope they are providing good care. Again, it’s your relative’s day-to-day care needs and risks that count – this is all that matters. Your relative’s money is irrelevant and the care provider’s abilities are irrelevant. It’s the underlying needs that count, as they would appear without any care in place – not the needs as they appear once they are being managed. This is a frequent way that funding is often denied. The statement is meaningless. For example, care in an Intensive Care Unit could be said to be ‘routine’ for the care staff, and yet this doesn’t mean that a person’s care needs aren’t significant. Challenge any statement that tries to diminish needs by saying that they’re ‘routine’, or ‘stable’ or ‘predictable’. Pamela Coughlan’s needs could be described as ‘routine’ and yet it was shown – very clearly – at the Court of Appeal that she qualified for NHS Continuing Healthcare funding. Amazingly, families are frequently told this. The Coughlan case has everything to do with NHS Continuing Healthcare. This one is unbelievable. The statement here is complete nonsense. An NHS Continuing Healthcare assessment is not an assessment of a carer’s physical strength! Instead, it’s about a person’s mobility challenges and the (often significant) risks that accompany those. 9-12: There is no specific intervention that has to be provided for a person to qualify for NHS Continuing Healthcare, i.e. a person does not have to have injections, they do not have to be on a ventilator, they do not have to be at end of life, they do not have to have pressure sores, they do not have to be fed, they do not have to be violent, etc. etc. They may have these needs and risks, of course – but eligibility is not about any specific diagnosis or intervention. Instead, it’s about a whole picture of day-to-day needs and risks. Nonsense. In the Decision Support Tool document, the example criteria under the Severe score in the Mobility domain actually says, “Completely immobile and/or clinical condition such that, in either case, on movement or transfer there is a high risk of serious physical harm and where the positioning is critical.” That’s not the same as ‘only being able to move one finger’. Eligibility for NHS Continuing Healthcare does not depend on where you receive care. It can be in a residential home (without nursing) or in a nursing home or it can be in a person’s own home. Eligibility depends only on what the underlying care needs are; it is also not dependent on what care may or may not already be in place. Families hear this so often – and it’s not true. NHS Continuing Healthcare funding is available for any stage of life and any stage of illness/care. What matters is the extent of a person’s care needs. Ludicrous. Outside hospital is exactly where NHS Continuing Healthcare applies, and the Care Act makes it clear that your relative should be assessed for this before they are discharged. After three months, there is a review, but this does NOT mean the funding can simply be taken away. The assessors must look at the whole picture of need (care needs and risks), and it is only if those needs have genuinely reduced below the eligibility criteria that there should there be any talk of removing the funding. Otherwise it stays firmly in place. Families report that care needs are being incorrectly played down at three-month reviews, even when there is no sign of any improvement in their relatives’ health or any reduction in care needs. If you haven’t already read the National Framework for NHS Continuing Healthcare and NHS-funded Nursing Care, it is worth doing so, as it will give you extra ammunition for challenging incorrect funding decisions and fighting your relative’s corner during assessment meetings. It’s a long document, but it’s a good idea to familiarise yourself with it. You will more easily be able to pick up on further untruths you may be told. It’s also vital that you read the Checklist and the Decision Support Tool documents. Read 9 more untruths about NHS Continuing Healthcare funding in Part 2 of this article. What other incorrect information have you been given during the NHS Continuing Healthcare assessment process? Must admit to now considering giving up with CHC. After (the allegedly) Independent Panel Review, NHS England concluded that the CCG’s decision was correct – and informed me of it by way of copy pasting large chunks of the CCG’s letter from two years earlier into their concluding remarks (i.e. the ‘review’ was a sham). I would love to know how much money the NHS waste on the salaries of those who chair these reviews and yet (in my experience) are not even fully versed in the Framework. However, my dad died and the care costs were not ruinous. The NHS know this – they know I can’t claim loss of earnings for giving up work to care for him for a year. The risk reward ratio of taking the claim to court for under 15K worth of claimable costs does not seem worth the pain of trawling through the evidence now three years after dad’s death. The system is corrupt. If anything happens to my mum I’ll have everything I’ve learnt, but I do not now trust even escalating to the Health and Parliamentary Ombudsman – if it’s anything like HMRC which has an ‘independent’ Adjudicator (who turns out to be on the payroll of HMRC) it will just be another stage of airing everything only to be told they made the correct decision. I’d like to think that every person who pursues the correct decision is helping to change the system for others, but I don’t think I believe that anymore. If anything, as information flows into the public domain, I think we’ll see a period of even more intense budget guarding – until eventually (hopefully!) it crumbles and the entire system of later life care is overhauled. Apparently according to the social Services member who was part of the team doing the assessment and refusing to put my mother forward after doing the second examination- despite her qualifying- a medical need apparently is not necessarily a medical need but a social need!!! Typical NHS doubletalk no doubt backed by central government and cash strapped councils. My mother had a massive stroke in 2004 totally couldn’t do anything for herself. An independent assessment was completed by this professor who deals with these issues. His outcome was she should have continuing health care. Still fighting Health issue. I have cared for a profoundly disabled young woman for the past 26 years since she was a child. She was deemed eligible for NHS Continuing Healthcare (CHC) in 2008 and remained on it until the end of 2016 when it was decided after a full assessment, that she no longer met the criteria. This despite her health needs increasing. We are appealing the decision and are finally having the Local Resolution Panel next month. I have absolutely no expectations that the appeal will succeed. In the past two years her health has deteriorated so I finally persuaded the social worker to put in a new Checklist. This was thrown out with no regard to the evidence of the increased health needs which include increased seizure activity, apnoea episodes, 2 hospital admissions for partial malrotated bowel, skin break down and swallowing difficulties. How does the social worker challenge this? She has just said she doesn’t know what else to do and is prepared to leave it as it is. I am not prepared to leave it because it’s wrong! A very well written article and of tremendous help to people going through any kind of a war of attrition with the NHS/Local Councils. My Mother has Alzheimer’s and after a dire set of circumstances which found her lying on the floor of her flat for a week even though a care team were supposedly doing daily visits and then quite literally booted out of The Royal Sussex Hospital on two seperate occassions despite my emails warning of the consequences she was placed in a respite unit where she has languished since Christmas. If this wasn’t enough the entire year has been taken up with an almost manic attempt to get to my Mothers savings which I have managed to block so far as I was awarded Deputyship so that I can at least look out for her best interests. At a meeting with her social worker it became clear that nothing had been written down such as an assessment which I of course asked for, this was flatly turned down because the social worker’s friend the Liason Nurse had already spoken to her and deemed her ok (!?!). He basically said that she wouldn’t get NHS Continuing Care (surprise surprise) and that once I handed over the money he would then place her in a home that he felt was suitable – talk about having a gun held to your head. They must of at some point decided that they needed something on paper and quickly fired off a ‘C’ scoring check list that was absolutely ludicrous, anybody reading it would think my Mother was fit enough for the Olympic swimming team, it bears no resemblance to her whatsoever. This has been going back and forth like something out of a J G Ballard book but if this is of any help to others I spoke to a Solicitor recently and asked why they wouldn’t do a full assessment if they are so sure she is totally ok and his opinion was they don’t want a panel looking at what’s been written down and the option of calling in a Ombudsman and that yes in fact one does have the right to call for a full assessment. How anyone could ever have dreamt up that it’s somehow ok to take money off a person with mental health issues is completely beyond me. Hi there, thank you for the info you have produced it is very helpful. My mother is 86, in hospital and has just had a pacemaker fitted for her failing heart. she has many other issues. I asked for an assessment, Continuing Healthcare, they were reluctant to do it. When I went in last week to see my mother they said it had been done after all and there is no ways she qualifies. Immobile, incontinent with a catheter, failing kidneys, failing heart and schizophrenic to name but a few issues. I asked if I could see the assessment and they said no. How can I get to see it, or is it impossible? My mother went in to hospital in June and is still there as at today, August 9th 2017. I cannot see now how to get this assessment redone or started using other avenues. Thank you in advance for any advice you can give. Just read and wanted to say. All of this the hospital have said is untrue. In the same position as you. You are legally entitled to see her notes and SHOULD by law be involved in the assessment and have a right by law to see it. All of this you have been told is wrong. Get a solicitor that specialises in NHS Continuing Healthcare. Start making notes. I realise this is from 5 months ago so I hope you are in a better place. If they have already charged you or your mother for her care, claim it back through a solicitor. Thanks so much for your marvellous site and everything you do to inform family members who, like myself, are in desperate situations with their vulnerable relatives. My mother has been under the care of a Mental Health team on & off since a dementia diagnosis in 2016. She is not mobile, is incontinent, suffers from extreme emotional distress, has a malignant tumour and has sustained numerous falls from bed, including at least one fall since her current placement. There has been an ongoing financial assessment after I applied to Social Services for financial assistance in December 2016. Today the Social Services informed me that they will make a contribution which will be back-dated for one year. However, they will now bill me for £10,000 in top-up fees, although my mother has already paid her care as a self-funder. Social Services state that by paying this back-dated contribution, this will put her savings over the rate for financial assistance, so she will again become self-funded. So I would need to apply for financial assistance again. And that all of this will need to be resolved before they are able to carry out a CHC Assessment. Negotiation for her to be allowed to stay in the care home is ongoing. They have previously suggested that her needs are extreme & cannot be met there long term. Thanks for your very kind words, Michelle. Hello, I am appealing against the outcome of the retrospective assessment for Continuing Healthcare for my late Mother, it has taken years for us to get to this point. The NHS outsourced the Decision Support Tool (DST) assessment to private companies and the DST was completed by a single nurse, I am trying to establish the nurse assessor’s qualifications and training to be able to undertake completion of the DST, what exact qulifications and training would she have to have had to undertake this work, all I have been told is that she is a registered mental health nurse and has DBS clearance and valid pins?? Is there anything specific I should ask about her qualifications or what would she have to have to be suitable and qualified to do this work? Sheila, qualifications don’t seem to enter the argument. So unless someone is wrongly claiming to be of a certain qualification, the need to hold certain expertise seems unnecessary. Valid Pin is the Nursing and Midwifery Council’s code number for each registered nurse. I would look very carefully at the Decision Support Tool (DST) copy and any other notes and actually take them apart and write the actual entire need out on paper for comparison. e.g. consider every minute part of making a cup of tea for someone. Now apply that to every care need that you can identify from the DST and then also add those that they have ignored….. Then appeal the matter using your version of how complicated, intense, and/or unpredictable the care needs were. It is all of the needs that are supposed to be assessed and the NHS delights in minimising what they call ‘needs of daily living’……… Having food and drink prepared (as a minimum), is still a healthcare need if you cannot assist or do it for yourself. It is complicated by poor cognition. Lack of communication. Then again it is intensified by aggression, or disinterest or by the length of time it takes to feed someone. I am looking for advice in regard to our assessment for Continuing Healthcare (CHC) for my mother-in-law who had a stroke 8 weeks ago. She has been left disabled down the right side of her body, is now bed-bound and cannot move without a hoist operated by two people with the use of slide sheets for moving her in bed. She cannot push herself up in bed and can only sit in a wheelchair for a maximum of 2.5 hours as she has no core strength. She is having her liquids thickened due to her swallow – this is under regular review. She is doubly incontinent and needs supervision with food to ensure she is eating enough. She doesn’t have any sores that need attending to, however she is regularly moved to prevent skin breakdown at her pressure points. In addition, she has early onset alzheimers. The decision from the Decision Support Tool (DST) meeting was that she is not severe enough to qualify for CHC. It felt that she would have to be a vegetable to qualify for the payment since the bar is set so high to be awarded the payment. Others in the care home are receiving CHC. Does anyone think this is standard or do you think she should be eligible for this based on the above? All help and advice is much appreciated. Hi Helen, Look at my last reply above and do some of this and then appeal matters. The needs should be fully expressed at minute detail. If they are not, then it is likely that they have been minimised. When I attended an assessment i requested a doctor to be present and when arrived was told they don’t have to attend. I even checked with my surgery if the CCG had been in touch and they hadn’t. Barbara – in my experience (and in the experience of the many families we’ve had contact with) it’s unusual for a GP to attend a Continuing Healthcare assessment. It doesn’t mean that’s right – but it seems to often be the case. However, the assessors must take into account all the care needs that a person may have and look at ALL relevant documentation and notes. In our experience GPs often have very little knowledge about Continuing Healthcare, unfortunately. My Father is now in a care home and actually the review for Continuing Care is happening. When they came to assess his health needs, the CCG told us that a separate assessment for his 1-1 carers would be done on another day. We were quite surprised this wasn’t all done in one meeting. Don’t know if this is usual? We are obviously anxious but I also wanted to ask your advice. My Father has 1-1 carers 24 hours a day. We know they are going to try to take this funding away and look for reasons to do so. What could we say in our defence for having a 1-1 at night? They will look over all the notes made every day and see that on many nights he is asleep but the fact is if he woke up, he might be confused or try to get out of bed. This is one of the main reasons for 1-1 in the first place. I hope they don’t suggest giving him a sleeping pill to avoid 1-1 or to say why can’t nurses at the home check on him every 20 minutes. Just wondering things we should say / prepare as answers as to why he needs 1-1 at night. And in the day but we feel they might look closely at taking away 1-1 at night. Also can I say to anyone reading, please buy Angela’s book. 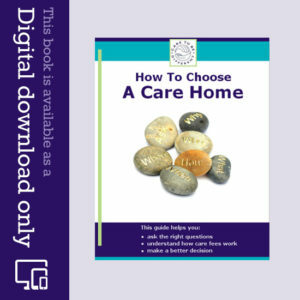 It’s very helpful and useful if you are in situations to do with Continuing Care. Sam – normally everything is assessed at once. The Continuing Healthcare (CHC) funding must cover all assessed care needs, so if your father needs 1 -to-1 care 24/7 then that’s what the funding should cover. Many families find they have to fight for this though. The assessors must take risk into account – so if you father is a greater risk of falls, injury, etc. without the night cover, the assessors must consider that in the overall picture of need. Once they have that picture of need, and assuming CHC funding is in place, the NHS will be negligent if it fails to provide the required cover. Thank you for your kind feedback on the book – I’m glad it’s helpful. Sandra – I can understand how stressful this can be. There are several points here: Your mother should have been assessed for Continuing Healthcare (CHC) when she first went into care. Be sure to get the process started as soon as you can, as it could be that she shouldn’t be paying anything towards her care. It doesn’t matter how much money/assets she had when she first went into care – she should still have been assessed for full funding then. This will help: http://caretobedifferent.co.uk/getting-the-nhs-continuing-healthcare-assessment-process-started/ and also this one: http://caretobedifferent.co.uk/how-do-you-know-if-a-continuing-healthcare-assessment-should-be-done/ If – and ONLY if – your mother is not eligible for CHC does her house come into the equation. However you can ask the local authority for a Deferred Payment Arrangement, so you don’t have to sell it right now. Your mother’s savings shouldn’t go below £14,250 before the local authority starts contributing. You may not have to move out of the house anyway as you’re a relative and it is your home, and especially as you’re over 60. Take a look at page 6 of this AgeUK document: http://www.ageuk.org.uk/Documents/EN-GB/Factsheets/FS38_Treatment_of_property_in_the_means-test_for_permanent_care_home_provision_fcs.pdf?epslanguage=en-GB?dtrk=true REMEMBER – means testing applies ONLY if your mother is not eligible for CHC. Dear Angela, Barbara and Chris – thank you for comments. It crossed my mind that perhaps it could be helpful for as many people as possible who have commented on this site to come together to write a joint letter to the health secretary to try and get a political spotlight on CHC. Whilst people might alert their MP or write to the government individually a combined effort always carries more weight. If as many of us as possible are prepared to put our names to a correspondence it is harder to ignore and might provide a basis for an ongoing campaign. Has this been tried before? Best, Sid. Thanks for your suggestion, Sid. Back in 2013 Parkinson’s UK, in conjunction with some other major charities, pulled together feedback and experiences on CHC in their Failing to Care report: https://www.parkinsons.org.uk/sites/default/files/failingtocare_appgfullreport.pdf. Maybe you saw it? I believe they may be looking to update it. Might be worth contacting them in the first instance. Angela Sid and Chris I have been fighting for 14 years for my mum for CHC. Sorry Barbara, I failed to note your comment. Have you had any success? Along with many others, I have been fighting for eight years for two relatives. If two others had not passed as quick as they did, it might have been four at the same time. Let us know if anyone can assist. Thanks for sharing so much information. It is bleakly reassuring to know that, when reviewing the comments, one’s experience of the process is not unique. After my dad’s death in December I considered giving up pursuing the CCG. Upon receiving the panel review in April (after a local resolution meeting a week before his death) I couldn’t face reading the explanations. In the last few months I’ve gone through it and pursued it to NHS England. So much of what you’ve listed rings true. My advice, for what it’s worth, would be to scrutinise every aspect of the Framework – and alongside your own notes, photographs, video – whatever you’ve had the time to gather – quote Framework and Practical Guidance paragraphs to supports your loved-one’s needs – or show the CCG have acted in conflict with it. I’ve already had the senior exec of my CCG lying to me in writing that correct procedure had been followed in forming the MDT; no co-ordinator had been assigned. A co-ordinator must be separate to the MDT – this individual is meant to assist the applicant (or their relatives) with negotiating problems and connecting them with advocacy. The panel have taken every opportunity to downplay my father’s needs – ignoring family evidence in favour of evidence that supports a notion that he may (despite all medical fact) have been getting better. Look out for use of an ‘assessment window’. The Framework quotes, ‘needs at the time of the DST’, but our CCG used this to skew evidence. They imposed a time limit not supported by the Framework only considering needs between the time the DST was completed and the time it was received by the CCG. And yet they were able to consider evidence outside of this timescale when it suited them (if it could be seen to support a social care need). Make sure your CCG don’t falsely use hospital discharge notes to skew the picture further. Our CCG have claimed my father was improving, because a discharge report stated his abilities were showing signs of recovery. The ward has to justify discharge – they are hardly going to say the patient is worse than when they arrived. Words to use here (I’d suggest) are ‘return (or not) to baseline’. So in my dad’s case, his abilities compared to admission had improved, but his ‘baseline’ compared to pre-admission was much, much worse. What’s more is those ‘abilities’ were being well-managed by hospital staff (even if those same hospital staff failed to see how many interventions they were providing to address them). The panel review also used a lot of ambiguous phrasing – anything that avoids using detailed descriptors to illustrate the need. So look out for wording like ‘would have had some impact on… ‘ or ‘some aspects of daily living’. They might preface this with a softener such as, ‘the panel agreed that’. The tactic is to make you believe they have really looked at the evidence, then back it up with ambiguity dressed up as substantiated fact. Some other docs that might be helpful are ‘Delivering Dignity’ (for elderly applicants) and ‘Meeting Needs and Reducing Stress’ (for challenging behaviour definitions etc) – both NHS docs. The other strategy is to focus (as others have said) upon what the LA can legally provide. When I stood back from the situation I could see numerous examples where it was clear my dad’s needs were vastly beyond the remit of the LA. Whether or not any of this will work, I’ve no idea. CHC is a joke – it’s not promoted in hospitals (use this as an argument because CCGs are directed to promote it where possible – meanwhile they hide it away) and the Checklist doesn’t get administered when it should (because discharging OTs/clinicians focus on an individual’s ability to pay for care). Some other points might be to establish historical context – if the condition is degenerative this is important. My dad was late stage lewy body dementia, but as far as the CCG were concerned he’d had admissions for a fracture and infection (no consideration of the underlying illness). Context will play a big part in establishing the characteristic of need of ‘unpredictability’ for instance, no matter what the needs ‘at the time of the DST’ – and will evidence the likelihood of deteriorating needs. And one final suggestion is to consider discrimination. I’m certain that my dad’s age and illness chimed with preconceived attitudes held by the CCG that elderly people with dementia are just one of life’s misfortunes – indeed, they went so far as to say it; unfortunately we’re just emotional relatives who don’t know what we’re talking about, and the CCG are very sorry for you loss, but we really are the grown-ups in this transaction, so there-there and off you pop. My experience is being a clinician doesn’t correlate at all with the provision of reliable reporting – or, to quote the Court of Appeal – a ‘careful appraisal of the facts’. Apologies for the rant! I hope that you are well. A good post with lots of advice. Key of which is the ability of the L.A to provide care. ‘PG 2 What is the difference between a healthcare need and a social care need? carried out by a health professional). Have a good look at 2.3 above. And ask yourself…… If the NHS could have added to the list of a social services department’s duties so as to make their point, why is the list of social services so short and obviously unrelated to the types of needs that almost everyone lists on this website? Then again like my mum and my also departed father in law, how many of those social services did your dad need and actually use? How much more was necessary because of their illnesses and were the needs really similar to those listed by the National Framework as so called social care? The framework list 85 incidences of the phrase ‘social care’. That is a strange anomaly considering that the process is supposed to be discovering a valid ‘primary health need’. Thanks for sharing your experience and tips, Sid. S, Advocacy services are available free for those with mental capacity issues, regardless of your involvement in support of your relative. Our local/ nationally based service is called Voice Ability. http://www.voiceability.org I had a meeting with a director last week to discuss matters relating to the unnecessary death of my 53 year old sister in law in hospital whilst she was mentally incapacitated but still permitted to refuse meds, food and drink. (She was neglected). Records show that many many NHS patients have mental capacity issues. Yet out of 42,000 non elective admissions, patients were only represented 9 times, by an IMCA during that 12 month period. Thanks all for replying and giving your time to help me, it’s so helpful to have advice. When you say it’s a person’s actual needs that count not whether those needs can be met, i wasn’t quite sure what you meant? So the upshot is this. After different people telling us different opinions on his CHC eligibility, we hear from a complex discharge sister who has stated he will get eligibility but they are not prepared to pay for this care home we found, due to the cost. She says she has had an extensive conversation with all the team members. She wants to organise a ‘best interests meeting’ stressing how important it is and if we can do Monday. Well this is just too sudden and soon. Plus we’d like to get an advocate for the meeting. Wondering if you had any ideas who to get at short notice? Plus the fact this has been escalated to complex discharges means all these requirements have to be met: http://www.nhs.uk/NHSEngland/AboutNHSservices/NHShospitals/Pages/leaving-hospital.aspx. Are the requirements for a complex discharge and care packages arranged through looking at the Decision Support Tool? So I guess we are at the stage of where to send my dad. The best place for him which we thought would be this place we’d found, based on average age, the care refereed there and near a synagogue etc. I suppose any borough has a synagogue but any bits of advice as to what to say or ask in this meeting would be greatly appreciated. My sister feels guilty that this bed my dad is occupying could be used for others but whilst he is there, even if they say he isn’t benefiting from the rehab, we’d like to keep him there. I don’t know what to say for this complex discharge meeting or where they are intending on discharging him to. My dad was so independent and happy and outgoing and to see him lose all that and be so vulnerable, we don’t want to make any mistakes for him. Actual needs vs. whether needs can be met – this means that the assessors should look at underlying needs, not the needs as they appear once they are being managed. Otherwise the assessment turns into an evaluation of whether the care provider can provide care – and that’s not the point at all. This may help: http://caretobedifferent.co.uk/continuing-care-assessments-2-frequent-mistakes-part-1/ Ask the care home if they have – or have ever had – CHC-funded residents. If they have, the NHS cannot argue that they won’t fund care in that home. Even if the home hasn’t had CHC people before, the statement by the NHS could be simply an attempt to save money. Advocacy services: http://www.nhs.uk/conditions/social-care-and-support-guide/pages/advocacy-services.aspx The Decision Support Tool helps inform what needs to go into the care plan, and the CHC process must be complete before discharge from hospital. Sorry – just to add. The problem now is this stems from our understanding that Continuing Healthcare forms shouldn’t be filled out if there is room for improvement in the person. Because the doctor in the supporting letter stated if he went to this specialized home there is room for improvement, they are querying it and would only give nursing care not Continuing Healthcare. We hopefully can say that because of a previous operation on the brain and a doctor today saying there are significant issues in the memory now and that he isn’t benefiting from the rehab at the hospital , there is no room for improvement. It’s such a mess now. Plus this head of the CCG in his borough and the key worker who said he was eligible both talked about repatriation in the discussion. I also think it was wholly wrong of this CCG woman to mention on the phone about if he has any friends in the borough and that it would be closer to my sister if he goes back to the borough. She also said that they have a community neuro team that can meet his neurological needs by coming in to see him. We know full well this isn’t the same as going into a specialized nursing home for neurological impairments. Sounds like confused nonsense S. If the NHS wants to continue treatment in a dedicated facility other than a general hospital (that might lack those specialty facilities), then they should be suggesting it and then paying for it. As for improvements; most patient’s that get CHC seem to ‘get better’, judging by the sheer numbers that are offered it for 3 months or a year, only to be denied it once the patient’s asset value is understood after they are settled in an expensive nursing home. So CHC seems entirely warranted if the NHS want’s to watch and wait as opposed to actively rehabilitating a patient. As for the Jewish angle: If the facility you desire is competent, used by councils or the NHS for other people and it is religiously based then it might be illegally discriminatory to attempt to prevent it. Sorry if some of this is irrelevant but I am trying to make sense of what you wrote whilst understanding that you might still be having difficulties digesting it all. A couple of points: the community neuro team being able to meet your father’s neurological needs does not in itself render him ineligible for CHC; it’s his actual needs that count, not whether those needs can be met. Also, if a person has been through a stage of acute illness, CHC assessors can wait to see how a person’s ongoing needs will be – but in your father’s case, S, that doesn’t seem particularly relevant. I suspect the assessors may be using the ‘rehab’ issue incorrectly – to muddy the waters and avoid funding. Keep going if you can. So the latest with us is.. We finially got the Decision Support Tool (DST) finished on friday and they sent it off to the head of the CCG in my fathers borough. Incorrectly the key worker told my sister that he had been eligible for funding. So bad to do that. But no, the head of CCG came back with a view that the supporting letter written by the doctor at the hospital, because it mentioned rehab in one sentence, that it can’t be sent off to the panel. She has stressed he needs disability management as that is the term we should use so hopefully she can clarify that. But apparently rehab won’t get him judged on the panel? Also she was saying, he can go to a home in his borough. We spent ages finding this specialist nursing home catered for people with neurological impairments and now she is saying things like ‘Doesn’t he have friends in his borough’ and years ago he could’ve gone to this home but now the borough is more equipped. It’s essential he goes somewhere with a strong jewish social community and we will use this as a strong reason to argue for the specialist nursing home we found. But how much say do we have in where he goes if he is eligible. They clearly don’t want to pay all that money when he could go to a cheaper home in his borough it seems. I have fought for CHC for my late mother for over 3 years now, she passed away 14 months ago. Although was found eligible CHC at her last assessment this was turned down by the CCG. My mother had a range of health problems, including vascular dementia, severe osteoarthritis, osteoporosis and a severe kyphoscoliosis of her spine, her hip joints were also crumbling. She had congestive cardiac failure, high blood pressure, a very large hiatus hernia, cerebrovascular disease with transient ischaemic attacks, and a very long history of mental health problems including chronic anxiety. She was severely cognitively impaired, completely immobile, had urine retention requiring a catheter which resulted in frequent urinary tract infections. She also had swallowing problems resulting in very frequent chest infection . As a result of her long history of mental health problems she was under a section 117. She required planned routine care which was delivered by careers with the supervision of a Registered Nurse, these needs were not problematic to manage and that the skills required were not over and above those expected in a care home with nursing There was no need for specialist treatment on a regular basis and as whole non of her needs reacted in a way which made them more complex. I just felt that this is an example which highlights what your article is saying. Incidentally I appealed to NHS England back in October 2015 and as yet I have had NO response. It is my feeling that the whole CHC funding issue is a fiasco and that the NHS are a law unto themselves meaning that there is nothing that we can do about it. This is very typical, Christine – the NHS saying that a person’s care is ‘routine’ and not ‘problematic’ and not ‘specialist’ – and then using such reasons for denying CHC funding. It is of course wholly flawed. I have been following your website for over a year now and find many of the links very informative. once I had put suitable 24 hour care in place. My father had adequate financial means and I was able to find 24 hour carers to look after him at home. It was expensive but I felt it was important for him to be in his own surroundings where he was less agitated. In 2012 I discovered via a BBC programme that the NHS should have funded his care and I have been battling with a restrospective claim ever since. The NHS seem to be hiding behind the fact that an assessment was never carried out on my father, but this is their fault as they have not followed their own procedures. Do you have any advice on this particular situation please? Thank you so much. Thanks for your kind feedback on the website, Karen. I’m glad it’s helpful. The kind of information you were given when your father was ill is sadly very common. The NHS imposed deadlines on retrospective claims a few years ago now. They were publicised very badly (perhaps rather predictably). It should not have been up to you to know about Continuing Healthcare back then, and so if the health and social care authorities failed in their professional duty to properly assess your father, you could potentially argue for a review on that basis. It may not be easy, but it may be worth giving it a go. So hopefully the hospital has decided to do the DST, and in preparation for that on wednesday we have bought your book which has been very insightful. Thank you. The CCG didn’t actually provide an assessor, is that usual nowadays? We have completed the other section outlining the reasons why he should go to this specific care home in relation to his health issues and himself as a person. We will get their scores on Wednesday and go from there i guess. But we’d like to, of course, keep him there until a decision is made. But how much of a chance do we have for that? On the grounds it’s close to my other family, a change in hospital will be a backwards step. I don’t know. Anyway, my mum got quite firm and fed up with the differing of reasoning and dithering and now they will do the DST so maybe that’s how you have to be sometimes?. You do say be firm. We have the DST meeting on Wednesday where i assume they have scored him. My sister has made her own results but as they don’t send hospital notes etc, maybe it is worthwhile having a consultant to send a letter as to why he should go to this specific place based on his condition now? The eBook makes reference on a few occasions that if a local authority keep’s pressing about a relative’s financial situation before an assessment is completed this is a serious breach of the law and protocols. Which specific laws, statutes ect does this refer to? Check out Bernie Crean’s comments under the above article, too. Hi Angela, I have been following you for several months now and find it very helpful and extremely interesting! Perhaps the best part is that I take comfort from the fact I am by no means alone in my battle! I have just had the last 5 1/2 years worth of attempts to secure funding thrown out. I have fought to within an inch of my life to no avail! she apparently only needs social care! If it wasn’t for the good care she receives in the care home she wouldn’t be like she is, it’s their management that keeps her well and I have repeatedly used this arguments . Again the routine care track, I have used this again and again. I don’t know what else to do. Mum has Alzheimer’s and is due another assessment in a few weeks so I will be starting over again, mentally draining and so stressful. Do you have any advice for me going forward? Thanks for your kind feedback, Sue. And, you’re right – you’re certainly not alone in your battle for CHC. The ‘managed needs’ argument is so vital and yet it’s so often ignored by assessors. Can you maybe get your mum’s consultant or neurologist (or similar) to put something in writing about the extent of her underlying needs? That can sometimes help. If they do that, make sure that they realise why you’re asking – otherwise they may inadvertently write something ineffectual that doesn’t actually support the CHC funding case. Thank you for your reply. This is going to sound strange but mum doesn’t have a consultant or neurologist that I am aware of. I used to take her for mental health assessments and always saw the same mental health nurse who was brilliant. We went twice a year until the last time I took her she was unable to complete the test as just taking her out of the care home upset her so much. He said that it was undignified to continue and unfair on mum. She now has these tests done in the home by visiting nurses. I used to stay with her when I took her but don’t have any part in them now…….. How do I get a consultant etc. Sorry for sounding naïve, it’s such a minefield. The visiting (probably Old Age/mental Heath Nurses) will be answerable to a consultant. My mum had similar contact especially in regard to antipsychotic meds and the reduction of them. It is often the case that after a few weeks, they refer the patient back to the care of the GP. The GP might be sufficiently capable to interpret what a consultant has written. The home should have some record (probably sent to your mum) even if you are not getting them directly. Be warned though, some GP’s charge nursing homes for their visits and it can make the homes twitchy if they think the GP is being overused. Thank you for your response again. If they have started the procedure, do they have to complete it though? Does it all have to be done at the hospital where it started becaused that is what we would like to happen. We don’t want a transfer for another hospital to complete the dst. It doesn’t matter if he is going to be transferred or discharged, the Continuing Healthcare (CHC) assessment process must be properly completed regardless. Remember also – if you find that you just can’t stop your father being moved or discharged, the NHS must pay for care until the CHC assessment process is complete. The previous National Framework link/reference (above) should help too. Thank you so much for answering. I wanted to update you as my Mother had spoken with an assessor today and various Doctors at the hospital, who have once again failed to inform us of what they are doing. Luckily my mum asked! But it’s basically this – they have completed the health assessment. But they are saying they won’t be doing the Decision Support Tool (DST) part which still needs to be done obviously. They are saying that they are not going to do the DST because he is going to be transferred. We of course want to say, before he is transferred, it should be finished. If he goes somewhere else, they would have to do the DST at the most up to date stage of my Father’s health. So what can we do? Can we say we’d like him transferred to a different part of the hospital where he is staying and that way they would need to complete it? Is my father going from one hospital to another the same as going from a hospital to a care home in terms of definitions. We didn’t know the difference between discharge and transfer in this matter. But any advice would be most helpful because we don’t want him to be transferred for another hospital to complete the DST, but don’t know if we have a choice in the matter? Thank you so much for your help. I am sorry if I waffled but I’m quite young and it’s alot to take in. Hi S – the above link under your previous comment should help you. Also, if your father got through the Checklist (and you can find our more about that here: http://caretobedifferent.co.uk/getting-the-nhs-continuing-healthcare-assessment-process-started/) then a multidisciplinary team (MDT) assessment must take place, during which the DST is completed. I just had another question, sorry. If a hospital has started the Continuing Healthcare process but are talking of wanting to move him from the neuro ward he is in into another rehab unit in perhaps his borough, can we say no on any grounds legally? We are also fearful this would jepordise the already started process. We would like him to stay where is he until the CCG have assesed the case. Thank you so much for your views. ‘ What is the individuals view of his or her needs (or if the individual has no capacity then details the carer’s or advocate’s view)? I was wondering how important this is and if there is anything important to include? We have outlined why as a family we feel our father’s complex care needs would be best managed in the specialist nursing home. Do we mention that there are no other specific neuro care homes in his borough and that they have a very good CQC report whereas others don’t? I have lost my case at local and Independent levels except for the last 6 weeks off his life, despite 10 months nursing notes been lost and all the usual outcomes of ludicrous well managed needs etc. The Independant review was a traumatic experience, I asked them what tools and frameworks they used to assess someone with psychological and emotional needs; their answer was nursing notes, to which I replied you are making a judgement on some inaccurate and missing notes. There does not appear to have been a MDT team meeting that involved the GP or Mental health team as he was disccharged from their care when he was admitted to the home. I feel they havent followed procedure. I am going to write to the Ombudsman but I feel am I fighting a losing battle as IRP panel state that a DST was completed but CSU thought it was inaccurate and not evidenced based. They say in 2010 the CSU did not complete a DST if it was evidenced that the need was a mixture of health and social care. The CSU no longer follow this process and a full DST is completed in cases like this. They appear to be changing the rules and I feel like I am drowning in all this work that seems to be so confusing, Do you have any advice please? Hi Rose – what an awful experience you’ve had, and it sounds as though there have been many things done incorrectly in your dad’s case. An OT cannot complete a Decision Support Tool by him/herself; it must be a multidisciplinary team that does it. Your dad should have been referred for a full assessment after the March ’10 Checklist. Did you challenge the inaccuracies in the nursing needs form at that time? It sounds as though you have been ‘on the case’ as much as you can (and it’s certainly not easy). There are mixed reports about the Ombudsman, but that is a route you can follow. You may (possibly) need some legal clout to help you too. The issue of the CSU acting for the CCG is something that I have argued since before the 2013 changeover in the Framework Guidance. Without having the resources to go to court to fight it, I will doubtless get nowhere. The rules state that a CSU cannot make an eligibility decision. Although for almost two years, our CCG permitted the CSU to do just that. So far they still have not admitted that they have done anything wrong. Freedom Of Information Requests also intimate that their ‘new compliant’ system is also suspect…… Because my own CCG even now, do not use a completed DST to make the eligibility decision. Apparently, the CSU takes a MDT recommendation, then alters it to suit themselves and then redacts much of the information before passing their own recommendation to a manager at the CCG. Does any of that sound like the already dubious rules within the National Framework? I don’t think so! Something that would be extremely helpful when wading through the untruths, would be if we could anonymously see the results of others CHC applications for comparison. So, the severe, high etc. rating against each domain and then the overall outcome. I understand that all cases are different and it’s not going to stand up as hard evidence, but it would be a very useful tool in review meetings and might give families the confidence to keep going. I would be more than happy to share this info. (anonymously) if it helped even one family member with their fight. That’s an interesting idea, KD. Although it’s not something we can do via this website, I wish you well if you do decide to venture forward with that. Have a look at Page 125 of The National Framework. Miss Coughlan’s care needs are stated to be ‘beyond the scope of LA [local authority] services’. F1.6 Pamela Coughlan was dependent on others for all aspects of her personal care and daily living activities. She could eat independently using a spoon strapped to her hand provided that the food is cut up for her. Someone needed to hold a cup whilst she was drinking as her hand would spasm if she touched a hot cup. KD, as can be seen, the NHS accepts Coughlan’s condition and care needs without argument. ADASS for the councils, outlines the nature of Coughlan’s needs whilst agreeing with the NHS that the needs are beyond their legal remit to provide for. I hope that it gives you something to compare your loved one’s needs against. Then again several others including Ross Bentley was also part of this case….. She was a bed bound patient with similar needs to a similarly afflicted Alzheimer’s sufferer. May I just confirm something with you please? You say that ADASS have not rescinded this document. Therefore I assume that it is the guidance all local authorities use when they consider whether a candidate for NHSCHC needs are beyond the legal limit that a local authority can provide. Are you sure that the 2007 ADASS guidance is still used by local authorities for the NHSCHC process? 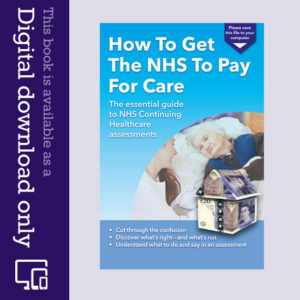 The reason I ask is that I saw ADASS and NHS England have produced a subsequent document called “NHS Continuing Healthcare Guide for Health and Social Care Practitioners Ensuring a Consistent Person Centred Approach” which can be found at https://www.england.nhs.uk/wp-content/uploads/2015/04/guide-hlth-socl-care-practnrs.pdf. I just wonder whether this new document (which dates from September 2014 and does not refer to any of the sensible guidance ADASS sets out in its 2007 publication) might have superceded the 2007 ADASS document. I hope the 2007 ADASS guidance is still in use because it contains far more real world and sensible guidance as far as the level of need a candidate for NHSCHC ought to demonstrate at which point they become the responsibility of the NHS than the National Framework. I twice emailed a not very forthcoming ADASS Director some time ago. In his answers, he did not deny that it had been rescinded. Nor did he confirm that there was any new guidance in this regard. I asked him for access to any new guidance and he wrote that there had been none. As for the link you posted, I have probably flicked through it before but I do not hold it as a record. Sometimes these links disappear. I’ll have a better look. Cheers. However, if it does not give guidance as to the legal limits then I would go with what you have whilst challenging them to disprove it if they kick off. And to answer another point in your earlier post, the 2007 guidance, points out that the figures given were as a direct comparison of very many cases that had been actually been funded by the NHS, which actually gives everyone an admittedly old baseline. I would always argue the false logic that the framework does not permit two ‘highs’ = one ‘severe’ if they use that against you because that is not what this guidance does to establish the baseline for considering care to be within their remit. I am at my wits end and finding the organisation of funding for my mother and father very distressing. Savings have dwindled and their home has been sold to fund their residential care. Mum has vascular dementia and a DOLs in place for last 24 months. She is mobile and articulate but has falls, no ability to manage personal care, and significant cognitive impairment so that she is completely unaware of where she is and why she is there. She “time travels” so I may be her mum in one visit and daughter in the next. The soft toy animals in her room are real to her. CHC assessment was made by her social worker but she did not pass the screening. Dad : I have requested screening but the GP referred to the District nurse team. I arranged this assessment, requesting that I be present. The district nurse visited dad when I was not there and phoned me later to tell later that in her opinion he would not meet criteria. The care home manager was not present at this visit either. This was 3 weeks ago and although I requested contact again by the District nurse team and for the assessment to be done correctly with the care management and myself present no contact has been made. In the interim dad was admitted to hospital as he pulled out his catheter. He was discharged 48 hours ago. Sorry to write so much but now I am going to summarise his medical needs: longer term catheter, benign enlarged prostate. Heart failure, with water on lungs and diuretic’s to keep lungs dry. Kidney failure. Registered blind. sleeps in hospital bed with sides and unable to lie down. Body is crippled with osteo-arthritus in spine and hips. Unable to weight bare without support. Can transfer from chair to walking frame with assistance of one, ditto bed to frame. Can shuffle bent double 4 metres maximum as lungs can not cope. breathless when talking. He has no memory of being in hospital for the last 8 days. Should I pursue his claim for CHC? I am exhausted by all. Thank you for your time to read this and all advice will be wholeheartedly welcomed. Hi Carrie – I can understand how exasperating this can all be, not to mention distressing, and having two parents needing care at the same time can be so very hard. Regarding your mother, if you disagree with the outcome of the initial Checklist, you can appeal that. Regarding you father, you should most definitely be present at any assessment. If the district nurse has carried the actual Checklist behind your back, you can appeal that. You should also have a copy of the Checklist. It’s supposed to be an open and transparent process, and it clearly hasn’t been. Contact the Continuing Healthcare team at the Clinical Commissioning Group (CCG) and make a complaint and insist that the Checklist is done again. Your dad should have been assessed for Continuing Healthcare before being discharged from hospital, but from what you’ve said I assume this did not happen: http://caretobedifferent.co.uk/nhs-continuing-healthcare-and-hospital-discharge-part-1/ Definitely pursue the assessment process for him. My mother in law had a massive stroke in Dec 13 which left her paralised down her right side, unable to talk apart from the odd word and peg fed. When it came to discharging her from hospital she had a CHC, which did find she was eligible for full funding. At the time we wondered whether it was the hospital pushing to get her discharged as she had been in for over 3 months. The initial funding was for 3 months so it was with some trepidation I approached the next assessment. A friend had suggested we keep a diary of her medical ups and downs and this proved invaluble when we came to work through the descion tool. I went into the meeting thinking it would all be about saving the NHS money but instead came out strongly believing in at least our case it was about finding the best care solution for my mother in law. The other members of the panel listened to our evidence and when we challenged the home on how much help she needed to manage her continence, the panel agreed with my reading of the assessment tool. We have since had another 12 month appraisal and again she was awarded another 12 months funding. Reading some of the horror stories above it is clear that not everyone’s experience has been so positive, however it can be that, in at least some cases, the CHC panel is all about what is best for the patient and not about saving money. That’s good to hear, Chris – thanks for sharing your experience. This sounds very similar to my mum’s situation. Mum has just been awarded full CHC funding after many battles to get what she has been denied for the last 3 years. I would suggest that you work closely with your Social Worker and the staff at the home to record all incidents when your mum’s behaviour is ‘testing’. As the home if you can complete family comments forms each time you visit too. This really helps to record ‘things’ the carers take for granted each day and don’t record because it’s the norm. The very same thing happened with mum. I had already complained and appealed and have a date for a panel review in a few months time for the last assessment carried out completely against the national guidelines. The new CHC assessor and new Social Worker appointed to mum’s case know that I am well aware of the guidelines and what the correct procedures should be and the last assessment was completely different. The home did not have the correct evidence to show mum’s behaviour during the first assessment and although care staff stated exactly what she is like, the CHC assessor suggested we reconvene 2 weeks later to allow the home to demonstrate what they were stating about her behaviour during personal care. This was done and clearly showed mum’s complex needs. (Carers completed a sheet on each occasion mum’s behaviour was challenging.) I have to say that the new SW and CHC assessor were very professional throughout. From the start of this assessment though, they knew I was fully informed. I’m just preparing for the panel review now so that I can get a successful outcome for the appeal. Remain strong – be firm and let them know you know your stuff! That’s good advice, Julie – thank you. Wishing you well. We have been through a hellish process to date with our CHC application. We lost at the MDT meeting as the hospital had falsified records even though we provided evidence in writing and with photographs that this was done. We had kicked up such a fuss the CCG Chairperson brought her boss along as witness (we are told we have to appeal to him even though he allowed the falsified documents to be presented!). We were refused permission to take notes or record the meeting. Our relative scored 3 high 5 medium (2 severes being downgraded by people who had only fleetingly met him). We requested the CCG policy for CHC as the meeting Chairperson told us that even if we won under no cirecumstances would care be provided at home! Our request for the policy was denied and were told our request was unreasonable. We used a freedom of information request to eventually get the document. I don’t understand why such a scandal as can be seen on this website is allowed to continue. If we acted like this as a private company we would end up in court. It seems the NHS and CCG’s are untouchable. What exceptional reasons were given for ignoring the MDT’s recommendation of two ‘severe’ levels? If none were raised in the refusal letter then in keeping with NHS logic, there were none. As such, the CCG’s managers overruling the MDT, was as a minimum, incorrect procedure. I would also add that if they sent you an altered DST with those levels removed/lowered and you can get the original then I would shout forgery at them. You would hold two copies both purprting to be the originals. The framework denies anyone the right to alter a DST. The reason is not given……. It is simple…..In a financial matter, altering written evidence or presenting false documents is forgery. Some might argue fraud too. Doing it deliberately and knowingly indicates dishonesty…….. Those are the grounds for a criminal prosecution. The NHS regularly prosecutes it’s own employees for simple misrepresentations such as falsified qualifications, because it involves money (their salaries), too. Failing proof of dishonesty, it is civil fraud……. Doing such a thing only recklessly, as to the truth, is sufficient grounds for a civil case. It can hardly be seen as prudent to ignore a basic rule of evidence and the rules of the National Framework too. That’s terrible, Mark, and it’s seems clear there are flaws in what the assessors have done, to say the least – not to mention falsifying evidence! We’re currently preparing for our 2nd review of Mum’s Continuing Healthcare funding. Mum was awarded CHC in November 2014 and was moved into a care home after being sectioned. Her review was due last August which me and my husband attended. I armed myself with loads of information and print outs which did include most of the things in your 17 questions. We very soon realised that we were in for a fight with the Continuing Healthcare nurse. The care home manager was off ill so her deputy was in attendance, and although he was “on Mum’s side”, he was not able to accurately put his case forward. The social worker and the CHC nurse had spent about 30-40 mins with my Mum as to ascertain her needs, Ridiculous! She scored low to medium on most needs, which we were happy with to be fair. She had put a bit of weight and was a lot, lot cleaner and looked after since her admission. She still scored Severe for cognition, the same as the original review. But when it came to her behaviour, the CHC insisted it was only High. Both the social worker, the deputy manager and us all believed it to be Severe. Unfortunately due to the staff not registering every incident with Mum there was no written evidence to support our claim. Some of the staff had commented about how difficult it was to take Mum to the bathroom during the social worker and CHC’s meeting with Mum, and they asked one of them to explain their reaction. They went on to tell us how it usually takes three to four members of staff to hold her during any personal care. I think it had become so ‘routine’ they weren’t writing it down in the records. Even with this information the CHC person stuck to her mantra that it was only High. I protested and said that because we didn’t all agree, it should be marked up and then queried later. Well, that didn’t help matters and as we had arranged to meet the estate agent to put Mum’s beloved home on the market, in the event of her losing her funding, we had to leave. We spent a very stressful weekend and on the Monday I rang the social worker who informed me that after we had left they had a heated discussion, which resulted in the review being postponed, to give the home a chance to record her day to day care. This next review is on 7th March and needless to say I am not very positive about the outcome. Mum is now under a Deprivation of Liberty Safeguard (DOLS) for the foreseeable future, but as she is on quite a lot of medication to help her sleep and manage her moods, I know the CHC will play the ‘she’s a lot calmer now’ card, so any help and advice would be very much appreciated. If she was sectioned she could be entitled to s117? My mum was sectioned under section 2. If she had been detained, under section 3 then after care under section 117 of the act would have entitled her to a type of funding that is different to NHS CHC funding. Sec 2 is for observation. Sec 3 is for treatment. I argued for a long while that even before she got in the ambulance, my mum was given intravenous meds and also along with varied oral meds from then on. The doctors could not see the difference when I approached them for help. NHS managers simply waited, (as they do), to see if an expensive lawyer got involved. Get a copy of the DOLS and compare it with what the MDT wrote about behaviour etc. I am willing to bet that the home and the Social Worker expressed greater needs on the DOLS (so that it would stick), than they have recorded upon the DST. One has to consider that for a human being to effectively imprison and restrain another, within the law, any associated report must carry greater weight than the DST. After all, no one goes to prison for a faulty DST. Yet a social worker that lies to cause unnecessary ‘imprisonment’ of a person is likely to go to end up there. This is again, another piece of a certain government advisor’s gobble di gook. The MDT cannot ignore the contents of that DOLS report because they are also supposed to consider any and all reports etc. in making their recommendation. It is advantageous therefore, to ensure that a DOLS contains great detail of the reasons for it’s existence. They are renewed annually. Don’t let them just photocopy the last one. If the current one is insufficiently detailed then get the details added. In conclusion; the MDT’s and the Eligibility Panel’s and local appeal panel’s ignoring of the contents of the DOLS in comparison with their minimised observations, was accepted by a later IRP chair, in mid 2015, as incorrect procedure. She was astounded that one organisation would make such claims so as to deprive someone of rights and liberty whilst the NHS had done everything they could to minimise the same information to achieve their own ends. That sounds very stressful, Lynda. The problem of care notes not accurately recording all care interventions is an ongoing one – and so frustrating. When a care provider considers the day-to-day care to be ‘routine’, things very often don’t get written down, which of course is quite wrong. Wishing you well for 7th March. Hi Angela, thanks for your reply and also the other comments from people. The meeting yesterday went a lot better than the one in August, but I’ve just read about the importance of the reason for the Deprivation of Liberty to be seriously taken into account. The continuing healthcare nurse did read through it but almost appeared to trivialise the reasons it was put on my Mum as unimportant. I didn’t put the two together but reading through one of the replies just now it stands to reason if the behaviour is bad enough to warrant a DOLS then it should follow that it is severe. She was still insisting Mum’s behaviour although challenging was High. I pointed out that the one sentence in the Severe category that mentioned the severity/frequency of the behaviour which was missing from the paragraph regarding a High valuation. She went a bit quiet but then said I’ll put Severe. As Mum already had a Severe for Cognition I knew that it would be put forward to the triage panel. It was such a relief but I know its not certain till they uphold the CHC. Hopefully the evidence she can gather from the care home will be enough. The lady who administered the DOLS had written a very comprehensive report on my Mum and recommended that she should be awarded full CHC so I think that also did help. I was told nothing can be done to contend the time it takes to do assessment. District Nurse filled out forms for CHC for my mother, despite following up with little response or negative. Mum was finally put into care home, council told us we had to sell home to pay fees. After more than 2 yrs we were still waiting for assessment and then 3 months later in August 2015 mum died. What can we do? We chased, forced to pay higher and all care fees reducing mum’s estate by in excess of 60k pounds plus. That’s appalling, Kathrine, and I’m so sad to hear that your mum has died. The assessment process is supposed to be completed in 28 days. It sounds as though you have enough evidence to show that you pushed for the process to take place and that it was the delays on the part of the NHS that were the problem. You may be able to make a claim on those grounds alone. The ongoing claim for CHC for my husband is now into its 15th month ! I still have not met his social worker (spoken twice on the phone, both times over a year ago). I finally met the CHC co-ordinator on 8th December to proceed with the appeal.I had told them I intended to appeal in September (it had taken until July for them to consider the application after we had completed the first assessment in December 2014 and then until September for them to inform me that they had rejected the appeal) but the first person went on long term sick leave and her replacement “had to take time to read the notes and update herself”. She told me that the panel would be looking at our case on 4th February but despite regular phone calls from me, she still hasn`t heard if they have made a decision. I was told in September that although I could supply `evidence`, I could not attend the panel meeting or even know who was on the panel. Nor was I entitled to see the minutes of the meeting or know exactly what criteria we did not meet. When I met with the coordinator in December she made it clear that we were not discussing my husband`s present state, but his condition when we first applied. I asked how I could retrospectively supply proof of something 12 months on when I was not aware at the time ! When I suggested that the CHC panel were not following National guidelines, I was told in no uncertain terms that they most certainly were. Meanwhile I have been funding care home costs for my husband since last October. I feel I am trying to plough through treacle . What a shambles, Barbara – and very stressful, I’m sure. You are most certainly entitled to see the assessment/review notes and to know how the criteria was applied and how your husband’s needs were ‘scored’ against them – otherwise you don’t have the full picture against which to appeal. Further update – I have been told today that the panel have just realised that they looked at this case originally so are not allowed to make a decision on the appeal so it now has to go to the CCG for review. Still ploughing through treacle !! 2) The date on the Last assessment is 3 months before the actual date of the assessment. Action: This was challenged and it was pointed out that this assessment is taking place today and should run for 12 months from today. I am awaiting the written assessment to see if this has accepted. 3) Why are you wasting time and money making an annual assessment when the person being assessed has FTD and is nearly at the end of life, (no cognition, cannot walk, cannot be bathed, has to be fed type C diet due to swallowing difficulties, has to given liquids, needs hoisting for all movements, Is nursed isolated due to loud shouting to avoid being attacked by other residents? Comment; This was the fourth assessment and eventually Continuing Healthcare has been agreed on each occasion. Thanks very much for sharing those three points. You’re not alone in experiencing those, particularly the first one. Dad is at home – my 77 year old mum is with him 24/7IM 24-7 – CHC provide 4 half hour (20min) visits a day for personal care. We are hitting brick wall after brick wall…it’s a very calculated CORRUPT care system… No one listens – pass the buck… its shocking. My mum is worn out and trying to get extra help is just not happening. Respite is needed in June – CHC don’t provide 24hr in home care…. Dad will have to go into a nursing home for a week (which we aren’t happy about-but we can’t go looking at any-becasue either me or mum needs to sit with Dad…. CHC/NHS – How do I get them to provide the in home care – 24/7 to replace my mums role for a week? You may find some useful arguments in the Pointon case, Theresa: http://www.ombudsman.org.uk/__data/assets/pdf_file/0007/1105/The-Pointon-case.pdf Keep in mind also that the care authorities should not expect your mum to provide care if it’s too much for her or for whatever reason she chooses not to. Isn’t the NHS and the Council legally responsible for the health and well being of carers too? The family/rep/advocate should be involved in the discussion of the weightings in the decision support tool. The professionals discuss and agree a recommendation whether the eligibility for a primary health need has been met or not. However some professionals do discuss their reasoning and rationale in applying complexity, intensity and unpredictability. The weightings should be information and evidence gathering with the primary health need the analysis. The DST should also any identify gaps in evidence and plug them such as mental health assessments or ask care home to do a more comprehensive daily log of interventions. In my experience the DST together with the social workers care act assessment supported by evidence and other reports from professionals should paint a picture of the unique person and their needs together with the interventions required and the predictability of the situation. Again at an IRP led by a barrister, in mid 2015, I made the point that at almost every statement made within each domain of the DST, the MDT would try to minimise the matter by stating that the reported incident was not intense, when it might well have been complex or unpredictable…….. Or another variation of the eligibility criteria. Or they would insist that the individual matter was only so called social care. It was considered by the IRP, that it was poor procedure to do that. Because it is the needs assessed as a whole that are to be compared against the legal limit of the county council, to provide nursing care, that is the actual legal criteron. The concept of a Primary Health Need and the criteria for deciding that, are not even defined in law. That part of it is an irritating smokescreen. Primary legislation is the proposed law, that is discussed and voted upon by our MP’s in Parliament. The ‘Standing Rules are secondary law created by a minister, alone, in the form of a regulation. Merely mentioning the term ‘primary health need’, in a regulation does not legitimise the Secretary of State’s concept of the ‘primary health need’. To put it in driving terms….. It is as if a minister created the concept of the fifty mile an hour speed limit on a motorway and only published it in a form of guidance called the Highway Code. Then, several years later, legitimising every previous incorrect and unchallenged prosecution of that ‘offence’ by merely mentioning it in a new law about traffic lights. It would still not carry the weight of law. What a brilliant article, debunking a lot of myths. I am just starting the application process and information like this is invaluable. The Huntingtons Disease have also helped me along this learning curve and so far I think I have managed to avoid pitfalls. Thank you Angela. I’m so glad it’s helpful, John. My carer is going to post the completed forms today for my CHC assessment. I have been treated really well so lets hope that continues. Thank you for sending me this link. That’s good to hear, Janet. Let’s hope it continues that way. Wishing you well. I am currently appealing against a decision for my Dad who after three months was told he is no longer legible for CHC funding. From the day that my Dad went into the home I have kept a diary and after seeing the homes daily record sheets on my Dad it is shocking. Initaily Dad settled well, his primary health need was his mental health and this is still ongoing. The home have provided no evidence to this, they always report Dad to be fine yet we visit daily and see a very different picture. This may well be to do with the fact that Dad hardly ever comes out of his room so I’d love to know how his mental health is monitored accurately. His meals are eaten in his room too which we have raised concerns about over and over but “they can’t force him to go to the dining room”. We have found Dad in a vertical position in his chair and he has still managed to eat his pudding most if the food down his front. I have started to take pictures now for evidence and I will do what I need to do in relation to arguing the case that my Dad is in their eyes so much better. Call bells are very often on the floor and for a man with left side impairment well who knows how one is supposed to get to it !! Dads original assessment was amazing and was written by staff who did really monitor him, they worked with us to make sure everything was in the assessment about his health needs. The worst part about all this is we had a decision made by MDT who said that Dad could never return home as he needed 24hr nursing care, how does that suddenly change !? Dad suffered two types of stroke in 2010 which was the start of his demise I somehow think he is never likely to get better !! The point is as a family we are dedicated to doing what is right for our amazing Dad and it is so unfair that genuine people have to fight so hard and often people that don’t even know the person are making these decisions. Hi Debbie – it sounds like a very distressing situation. The problem of inadequate care notes is sadly not unusual, and yet completely unacceptable, of course. We’re hearing increasing accounts of people having their Continuing Healthcare (CHC) funding taken away after three months. However, unless a person’s underlying care needs and risks have genuinely reduced below the level of eligibility – and unless that can be clearly shown, not simply through a lack of notes but through positive evidence – there should be no suggestion of the funding being taken away. Hi Debbie, At Independent Review Panel mid 2015 we argued that my dad’s almost daily notes taken during his two-three hour visits to see my mum were more accurate than most of the home’s records; that were subsequently shown to record aggressive incidents within only one of the protagonists files. The CQC eventually caused the dismissal of the named person that ran the home on those poor record keeping grounds. The Panel of 2015 decided to offer the NHS the chance to back out, based upon my dads evidence….. They chanced their arm. They lost. CHC was awarded after it had been refused 2 years previously. During which time we refused to pay the council their contribution….. Even to the point of demanding that they take the matter to court. Our logic being that a real judge would have to review the DST and the NHS’s role in the matter etc. and actually be able to compare that DST with earlier and almost identical copies that had allowed CHC funding. So, keep recording what you see. Then also look up the nursing home records too. I bet you will not often see a comprehensive corresponding record for what you have observed. I am being informed that I will not be able to be party to the actual decision making event, although me and my sister were part of the multidisciplinary team (MDT). There were two health professionals (one the Continuing Healthcare (CHC) coordinator, the other the manager of the nursing home mum has been in for three and a half weeks, he reads from nursing notes that are not comprehensive), two social workers who inform me that they don’t think they can be part of the decision making panel either. No one on that panel knows my mum. Only one of the social workers who has tried her best with her boss to achieve CHC – a positive outcome. It was a case of whistleblowing two and a half years ago, but the director if social services would not support his value member of staff and allowed a deal to be cooked up between two people (one NHS and the other social services) to refuse CHC. I firmly believe that this was because they were under the impression my mum had money and they would means test her and not have to pay for her care. A win win situation for both sides.